A pristine environment of ecological richness and biodiversity. Home to generations of indigenous people for thousands of years. The location of vast quantities of oil, natural gas, and coal. Largely uninhabited and long at the margins of global affairs, in the last decade Arctic Alaska has quickly become the most contested land in recent US history. World-renowned photographer, writer, and activist Subhankar Banerjee brings together first-person narratives from more than thirty prominent activists, writers, and researchers who address issues of climate change, resource war, and human rights with stunning urgency and groundbreaking research. From Gwich'in activist Sarah James's impassioned appeal, "We Are the Ones Who Have Everything to Lose," during the UN Climate Conference in Copenhagen in 2009, to an original piece by acclaimed historian Dan O'Neill about his recent trips to the Yukon River fish camps, Arctic Voices is a window into a remarkable region. Other contributors include Seth Kantner, Velma Wallis, Nick Jans, Pamela A. Miller, Andri Snaer Magnason, Robert Thompson, George Schaller, George Archibald, Cindy Shogan, Marla Cone, Maria Williams, Jeff Fair, Peter Matthiessen, Rosemary Ahtuangaruak, and Nancy Lord. 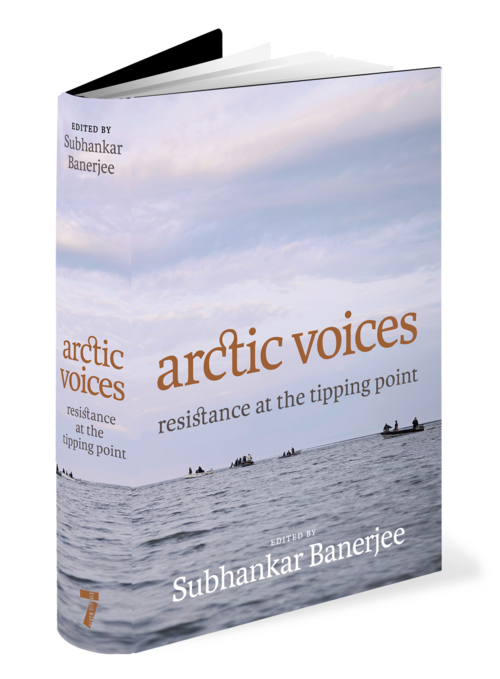 Over the past decade Subhankar Banerjee has been a leading international voice on issues of arctic conservation, indigenous human rights, resource development, and climate change. In 2003 he published Arctic National Wildlife Refuge, a photo book of his fourteen-month long journey in the Arctic National Wildlife Refuge. Through a Lannan Foundation grant, 10,000 copies of the book were donated to libraries and policy makers across the country. He was recently Director’s Visitor at the Institute for Advanced Study in Princeton, Distinguished Visiting Professor at Fordham University in New York. He has received a Distinguished Alumnus Award from New Mexico State University and a Cultural Freedom Award from Lannan Foundation. 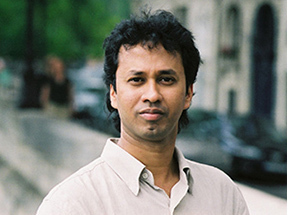 Banerjee lives in New York City.